The CCC/KMET partnership is off to a great start with 110 patients attending our first screening day and four patients treated with cryotherapy. We divided the 22 trainees into groups of three and four and paired them with a Kenyan Facilitator. Each of these Facilitators are crucial in teaching the trainees “See & Treat” as they bring years of experience in VIA and cryotherapy . With six “See & Treat” stations active we were able to see patients quickly and efficiently. All of the trainees were extremely excited to get first hand practice examining patients with our “See & Treat” method, and we can’t wait to see how they progress throughout the week. This patient was very excited to be a part of the free cervical cancer screening and receive education about how to maintain her health. 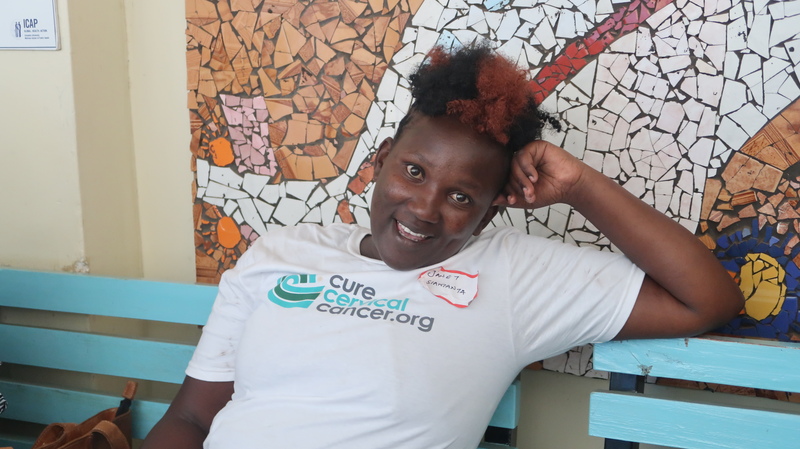 Trainee Janet Saimanta from African Medical Centre in the Mara West sub-county sits outside one of the Screening Rooms after the trainee debriefing at the end of the training day. Facilitator Syprose led a group of 4 trainees and was very pleased with how quickly they were learning the “See & Treat” procedure. Pictured above, she sits with CCC Program Coordinators Phorum and Lauren. 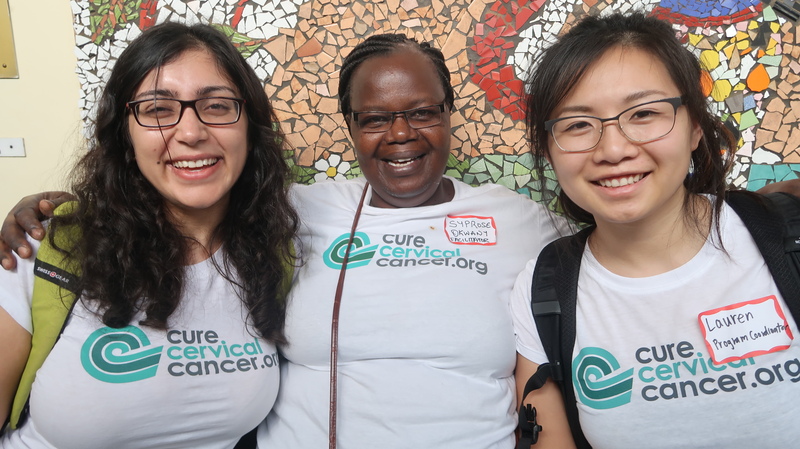 The CCC team stands with Facilitators Mercy and Syprose in JOOTHR, where the one week cervical cancer screening and treatment program is taking place. 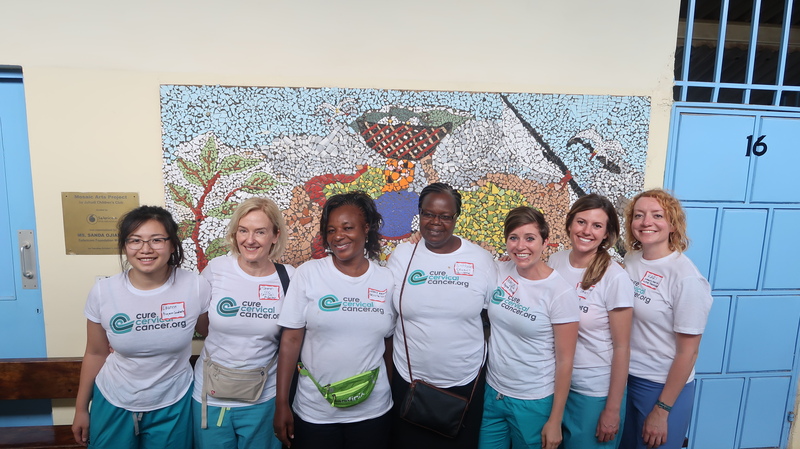 Pictured from left to right are Program Coordinator Lauren, Clinical Advisor Dr. Blosk, Facilitators Mercy and Syprose, Program Director Rebecca, and medical volunteers Dr. Kjellson and Kari Sower NP.